Nice Weather For Ducks … Hey, Where’s The Ducks? 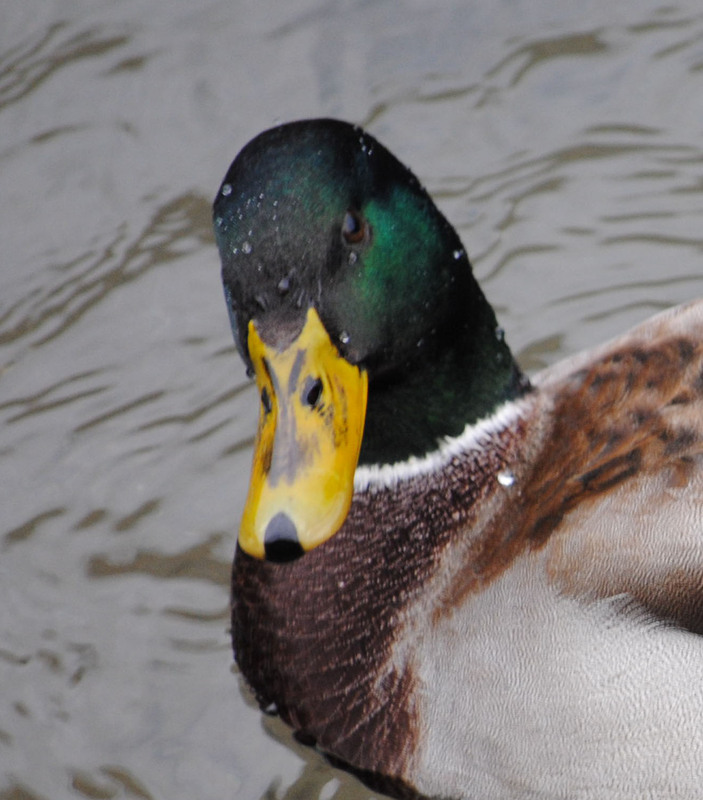 It was raining whilst I was out today, and the photos of the ducks didn’t come out too well. (Just so you know, I hate the fact that the U and the I are right next to each other when I type ducks). So these are some of the other birds. The seagull drinking and then lifting its head to swallow the water and the seagull foot stomping to try to entice the worms up is always a good one to see. Okay, so there is a Moorhen at the end, I suppose you can get away with that being the duck. Oh, and my new Gravatar image. This entry was posted in Photography and tagged Birds, Creatures, Duck, Ducks, January, Nature, Nikon, Photos, Postaday, Rain, Seagulls, Weather. Bookmark the permalink. One of the shows I like to watch is NCIS where Dr. Mallard is called ‘Ducky’ by his friends. The ducks in my (part of the) creek won’t let me get close enough for photos. Camera shy? I have missed so many NCIS. I think that seeing as I have just about caught up with CSI, Bones, Criminal Minds, American Horror Story, and others, I will see about NCIS as well. I can do without horror these days. I like all the NCIS folks. Abby, Tim, Tony, Gibbs, Ducky & his be speckled young helper…Ziva went bye-bye (her choice). Now there is a new Gal in Ziva’s place. Where’s the Ducks?….well take a look at my blog for today! Cheers. Thanks David. Loved your photos. You may want to look at my latest post for ducks in formation. AFLAC!!! Sorry, couldn’t help it. I like that duck pic. LOL on the u & i tid-bit! Quack ! 🙂 lovely photos. I find these very relaxing.